I posted my holiday trip to redang previously,but the journey not ended yet. 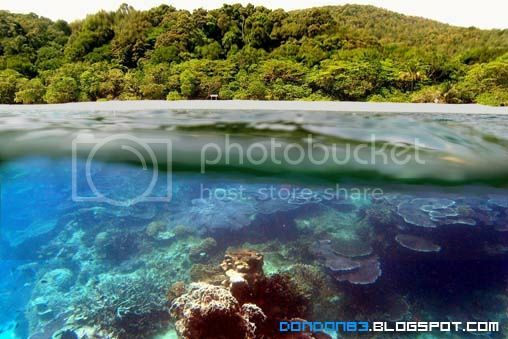 Let continue with the Redang Underwater World. hohoho. Welcome to my world. said Diving Don. Here the photo queen. who always get highest photo count. haha. 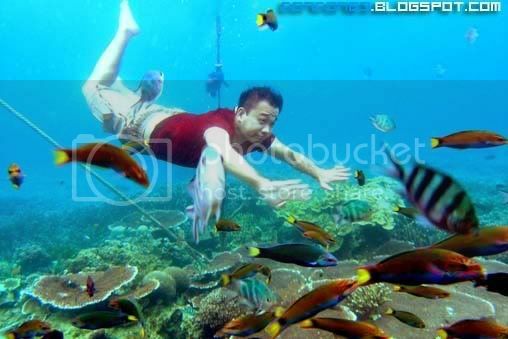 of course she won't let go the chance of taking photo underwater. hahaha. 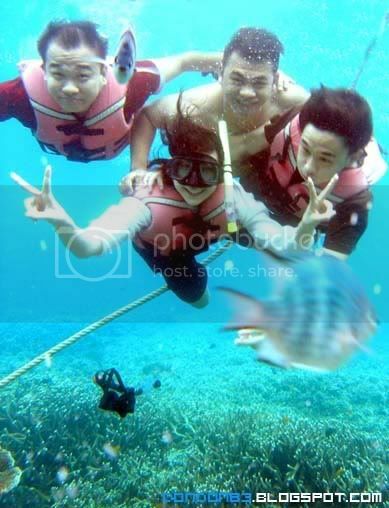 and i believe she the only one who have clear visual while taking this photo due to wearing goggle..
Last but not least. here is the group photo of everyone. 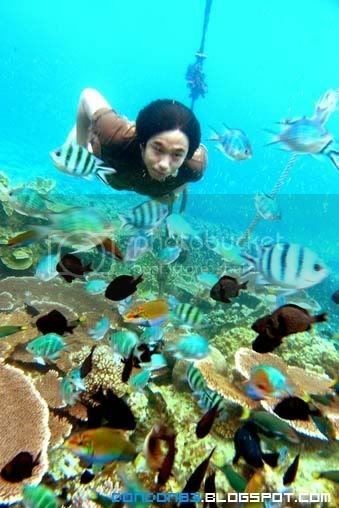 Redang Underwater world. ok.. these photo cost us RM5 each.. we paid around RM100 just for the photo.. ouch..
i like 1st photo very very nice!!! don.... how u manage to capture the photo??? Don'z On Chair at TGI.FRIDAY!! Penang, Here i come again.